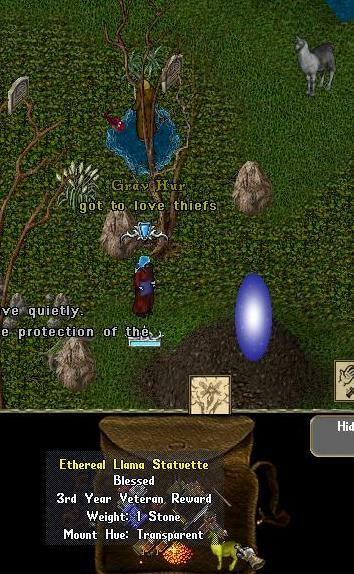 UO Thief | Episode 0291: To Live or Die? Seriously? Episode 0291: To Live or Die? Seriously? Oh Atlantic shard… You submit to my rule so easily. As part of my reign, I am enacting a new law on the Atlantic shard. If your name is a phrase or something that is idiotic. You shall incur a fine. Any thief may rob you at their discretion. Your name shall be judged by either the King, or any thief that encounters you on the scene. Fortunately for him, his idiotic name did not require death. It DID, however, require a fine…. I try to introduce myself to this bizarre blue haired man. I could tell he was only semi-literate. He was quite rude… Rumors of how “admirable” he was, were greatly exaggerated. I tried to explain to him that his “name” was in violation of the law. I don’t think he understood, he muttered something about being rich and great. I assume he was talking about how great I am, but flattery would not help him this time. After further attempts to persuade him to comply willingly, I was forced to take drastic measures. 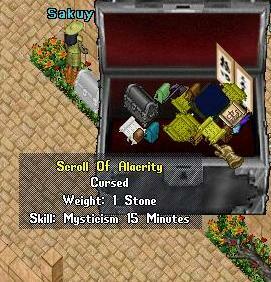 A scroll of alacrity for mysticism skill… This will do nicely. And, I agree. Thieves are great. 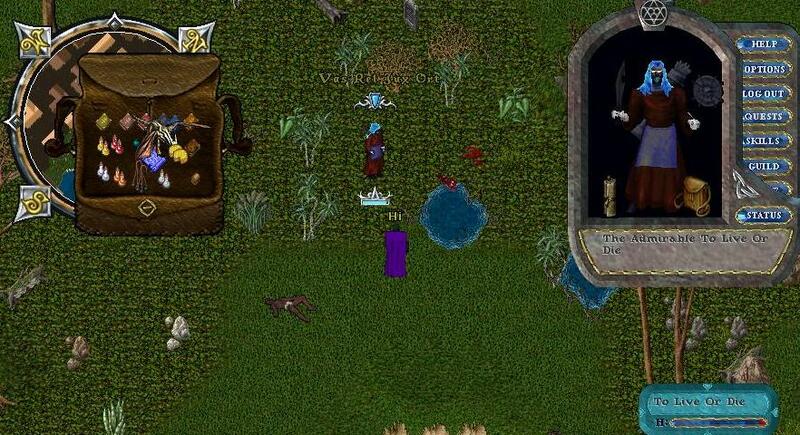 We police the realm, righting wrongs and protecting the innocent. It’s really a good thing that I am here for my subjects. 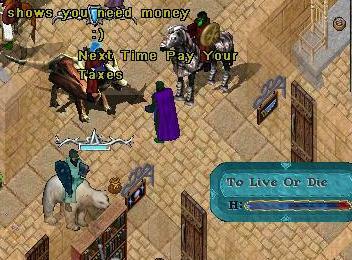 I try to inform him that next time he should abide by the laws, and pay his taxes. He said something about how Kings need money and he understands how amazing I am and why I had to punish him. I was glad he understood he deserved to be punished. And to those of you on Atlantic, GET BETTER NAMES! P.S. Oh, and next time Pay Your Taxes.